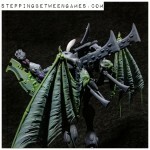 Mordian 7th Regiment: Heresy Era Dark Angels - Taerrax Termites and Praetor built! Heresy Era Dark Angels - Taerrax Termites and Praetor built! After all the painting of late I thought I'd reward myself with a little build time! Earlier in the week a box o' joy arrived from Forge World, containing a trio of Taerrax Termites (say that five times fast) - While I was initially apprehensive of building the new kit it ended up being a breeze! While I was about it I decided to take a stab at building a Praetor for the force. While I've already painted up a few characters, I haven't been totally happy with them as they're essentially just 40k-era models with a lick of black paint and a head swap. Something a bit more bespoke was in order! 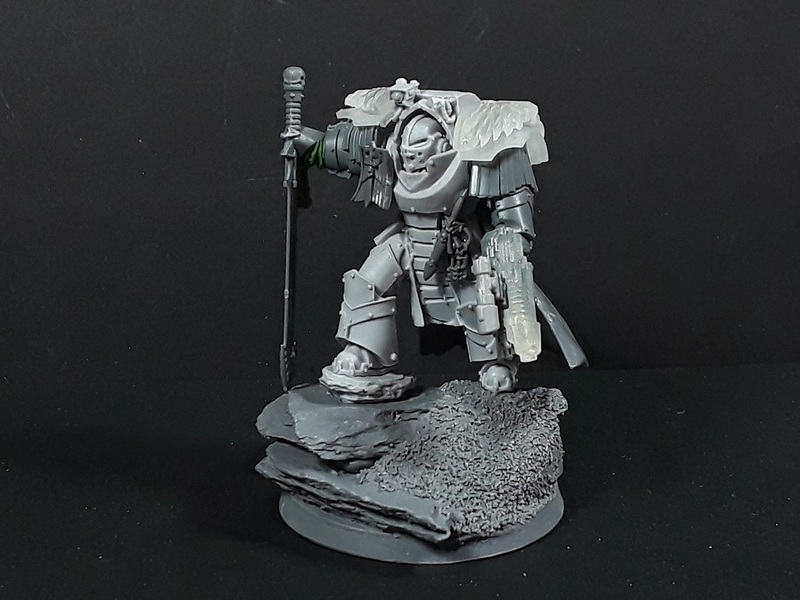 Introducing Vortigern, praetor of the Lost Lions warhost! Made from a whole mess of different bits, he definitely has more of a Heresy vibe to him and better suits the era. Fairly standard loadout with a Paragon blade and combi-plas - Hard to go wrong with the classics. Had to do a little greenstuff work to marry up the Deathwing blade to the Cataphractii plate, and swap the combi-plas over to the left hand and am pretty jazzed with how it turned out! 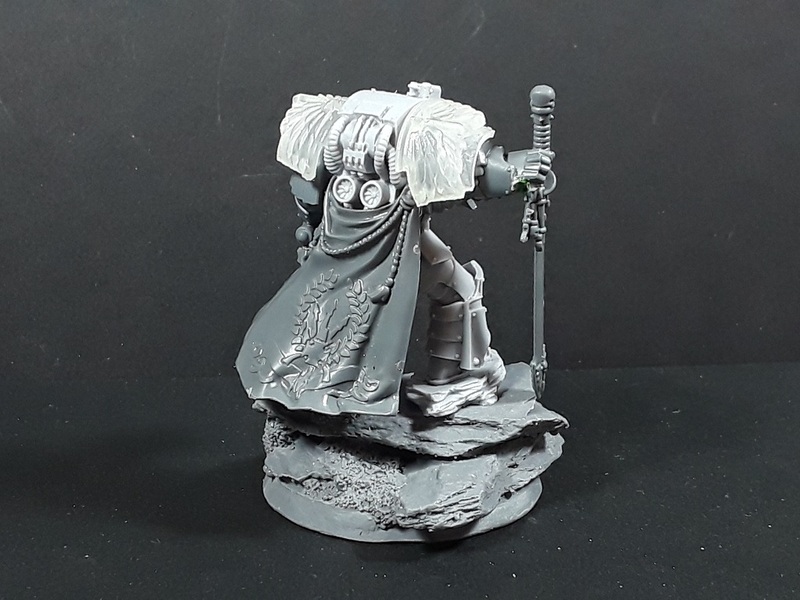 Wanted to bling him out a bit more than the other terminators he'll be joining, and was pleased to find a spare Custodes cape fit on the model like it belonged there. I managed to snap off some of the sensors and whatnot along the top of his armor, so need to sort out some replacements, but overall I am pretty pleased with him! liking the Praetor. Might have to look into getting the model to do my own version. It's a Custodes cloak? Seems to be an almost perfect match up and it really fits the look. Cheers! 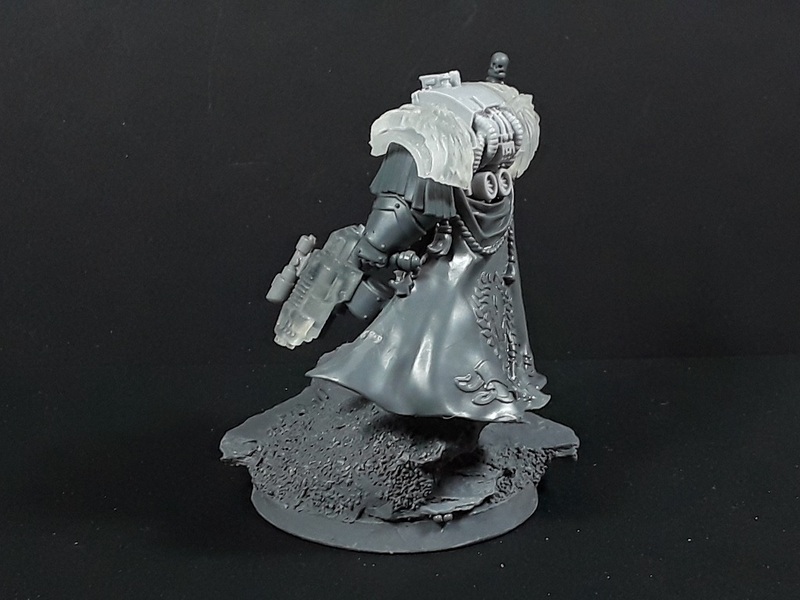 Indeed - it's one of the cloaks out of the Burning of Prospero Custodes, it fit on there like it was custom made for it. No trimming, bending or GS work needed! 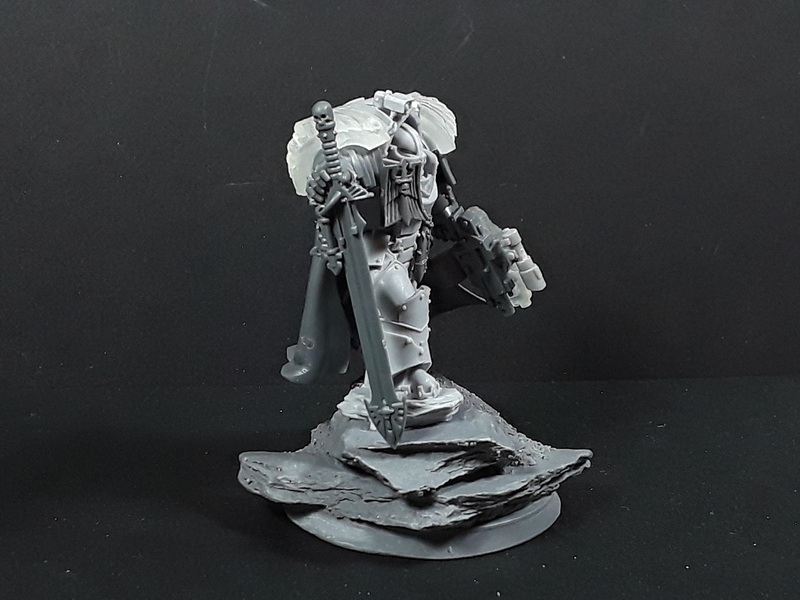 Termites look bigger than the press photos and Praetor looks great, 3D printed Combi Plas and Shoulder pads? Noice! 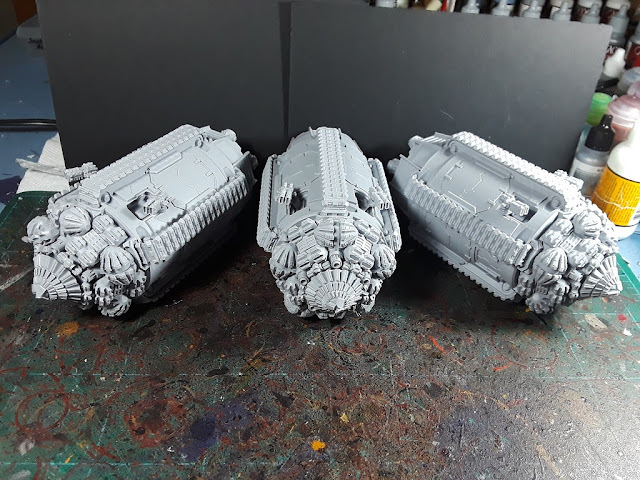 Aye, they're a little larger than I expected, will get some comparison shots soon - bulk-wise I'd put it somewhere between a rhino and a land raider. 3D prints courtesy of Pop Goes The Monkey on Shapeways, been very pleased with everything I've gotten from his shop! The Praetor is awesome, I really need some cool characters in my army. I need to get through the bulk of stuff that needs ot be done so I can eventually get around to modelling individuals of note. 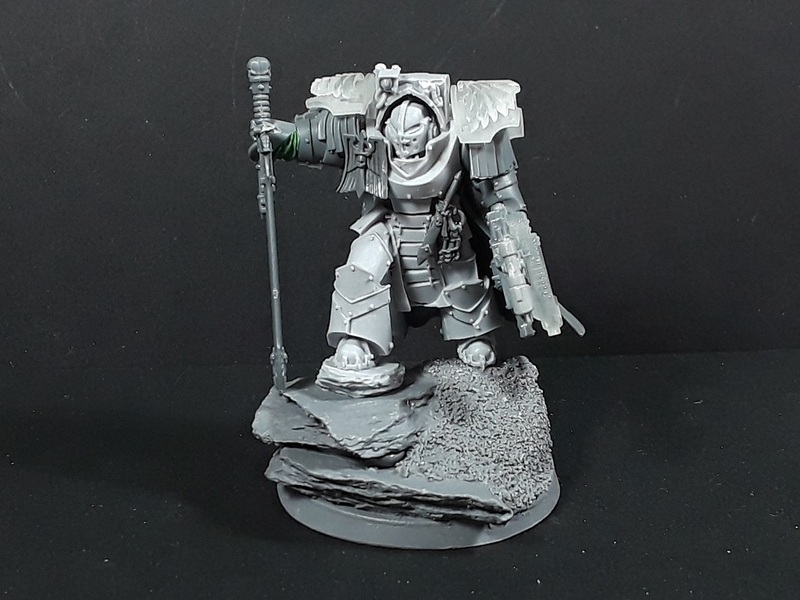 Praetor looks frikken cool mate! THose Printed parts are very nicely done. Hope you don't add Mole Mortars to your army.... with those Termites you might have a few underground mishaps? Always nice to create your own character for an army. Gives them a real personal feel I find. Absolutely! One of my favorite parts of the process!